This label can ensure and guarantee a qualitative & aesthetic wood. We use mostly wood sourced from the Landes de Gascogne forest. Our products are created on our sites in the South West of France. The aim is to enhance the value of the wood as best as possible at all stages of production. As part of our sustainable development policy, we do not use solvents in our decorative product ranges. 10-year guarantee for the treatments (fungicide, insecticide and anti-termites) used on our ranges of products for indoor decoration. 10-year guarantee for the appearance and endurance of the finishes used on our decorative product ranges. We only use water-based solutions that are not dangerous to the product user or the environment. Most of our products are PEFC™ certified. This is a guarantee for you that the product has come from sustainable sources and that you are contributing to the sustainable management of our Landes forests. Some of our products are FSC® (FSC C120097) certified. This label certifies that the forest is managed in a sustainable way and used responsibly. The CTB B+ certification guarantees that the performance shown on the wood corresponds to exact classes of use. All our products have the CE mark. We ensure maximum traceability and transparency. All our panellings and parquets, having received a finish (varnished or tint) have a level of emission,issue of COV equivalent to the mark A + or A. Think of the sorting! 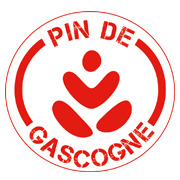 Gascony Wood marks all its paper packagings of the logo Triman.